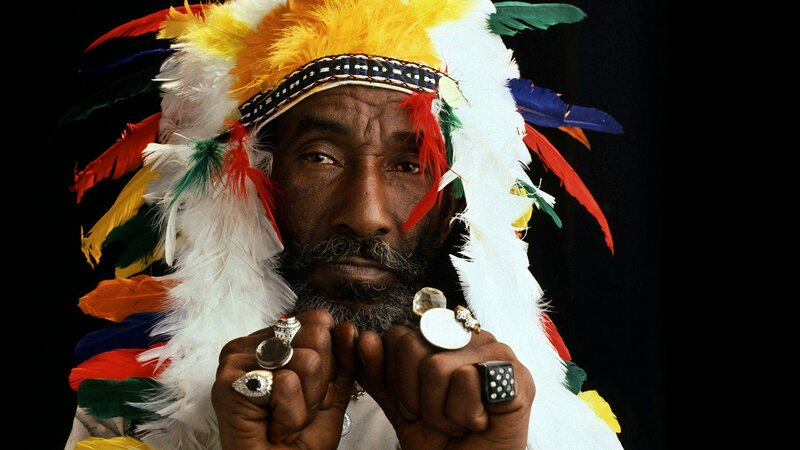 Undoubtedly one of music’s greatest unsung heroes, Rainford Hugh Perry, better known as LEE “SCRATCH” PERRY – in a colourful yet illustrious career – has not only acted as a catalyst for the explosion of Jamaica’s sound onto the international scene but also laid the foundations for countless musical genres. Ranked #100 in Rolling Stone Magazine’s 100 Greatest Artists of all time, the 77 year old is still going strong and continues to take his unique, rough-edged sound across the world. Making his return to Liverpool for the second time in as many years, the almighty dub organiser will take to the Kazimier on Wednesday 12th March. Beginning his musical career in Kingston in the late 1950s at Coxsonne Dodd’s legendary Studio One, dubbed “The Motown Of Jamaica”, Perry immediately showed a flair that separated him from the pack, releasing around 30 ska records through the label. However, feeling that Dodd wasn’t giving him the recognition he deserved, Scratch moved across the street and was put in charge of Joe Gibbs’ Amalgamated Records. It was here that – by adding spirituality to his records – he began to develop the reggae sound. His stay at Amalgamated too, was short lived and due to a similar conflict with Gibbs he formed his own record label in 1968. He called his new label Upsetter whilst adopting the pseudonym himself due to the various disputes seen in his early career. His first release on the imprint “People Funny Boy” – an insult directed at Gibbs – was the first song in history to make use of a sample. With his house band, The Upsetters Lee “Scratch” Perry released a string of instrumental hits and broke onto the international scene with “The Return of Django” which peaked at #5 in the UK Single Charts in 1969. In 1970 Perry came across a young Bob Marley and after lending him his new reggae sound, Perry produced “Duppy Conqueror” and “Soul Rebel” propelling the Wailers towards international recognition. However, it was not until he built the “Black Ark” studio in his own backyard in 1973 that his truly pioneering work began. Fuelled by Jamaican white rum and copious amounts of ganja, Perry produced up to 20 idiosyncratic delicacies a week during his time in the Ark, working with the likes of Truth Fact & Correct, Junior Murvin & Max Romeo. The Mighty Upsetter soon began experimenting in his hallowed backyard studio and by breaking reggae records down to their basic elements of vocals and riddim before building them back up with samples, reverb and echoes, Perry not only created the dub sound but also laid the foundations for much of modern day electronica, making the mixing desk an instrument in its own right. It could also be argued that his “toasting” over dub records created the blueprint for hip-hop which was later exported to the Bronx from Jamaica in the 1980s by the likes of DJ Kool Herc. The Ark’s open door policy, which welcomed international stars like Paul McCartney and Sid Vicious eventually began to take its toll as the studio became overrun with villains and thieves. Perry’s creative mind soon became troubled and in 1979 the Upsetter burnt the studio to the ground in a fit of rage, though some have speculated that it was actually an accident caused by faulty wiring. Following the loss, he moved to England and gradually began to lose his mind as he fell into a ten-year long depression fuelled by alcoholism. After meeting Mireille Ruegg in a London record shop he managed to get his life back on track and moved to her native Switzerland where he married her and fell off the music radar. Making his comeback ten years later, a collaboration with the Beastie Boys in 1998 soon rejuvenated Perry’s career. Since then he has gone on to win a Grammy for Best Reggae Album with his “Jamaican E.T.”, featured on a Guinness advert and worked with artists as diverse as British dub legend Adrian Sherwood, experimental filmmaker David Lynch and ambient house innovators The Orb.